"This is a book for the ages. In precise and powerful prose it lays out the blueprint for the remaking of the mind and the reenchantment of the world." - Jean Houston, Ph.D., from her introduction. In the early part of the twentieth century, a visionary named Ernest Holmes began a journey of exploration and research that profoundly affected thinkers throughout America. His work, based on the teachings of the great philosophers, the sacred wisdom of both Eastern and Western traditions, and the empirical nature of science, offers a philosophy of religion and psychology emphasizing the limitless potential of the human mind. 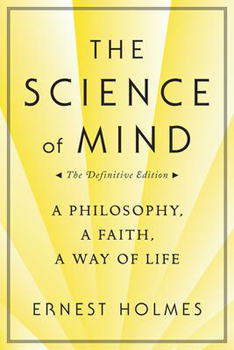 The release of the paperback edition of The Science of Mind coincided with the seventieth anniversary of Ernest Holmes's founding of the Religious Science movement. This book contains the fundamentals of Holmes's teachings and is a primary resource used by teaching centres and spiritual healers worldwide. Its universal principles apply to people of all spiritual backgrounds as they describe a higher level of existence attainable through the use of Nature's forces and the power of God. While imparting an unrivaled technique for living, Dr. Holmes's classic guide speaks clearly to a complex world caught in transition and searching for guidance.